1. Habit. 2. 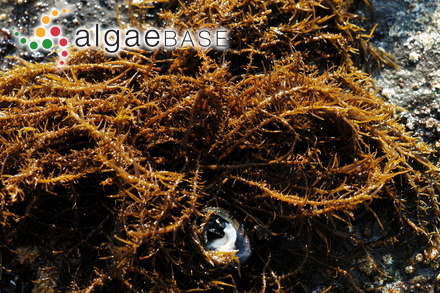 Low intertidal (Peter the Great Bay, Russia).. 09 Mar 2012. Eduard and Tamara Titlyanova. © Eduard and Tamara Titlyanova (etitlyanov@mail.ru). Nudibranch Pt; Barkley Sound, British Columbia, Canada. Colin Bates (colinba@interchange.ubc.ca). © Colin Bates (colinba@interchange.ubc.ca). 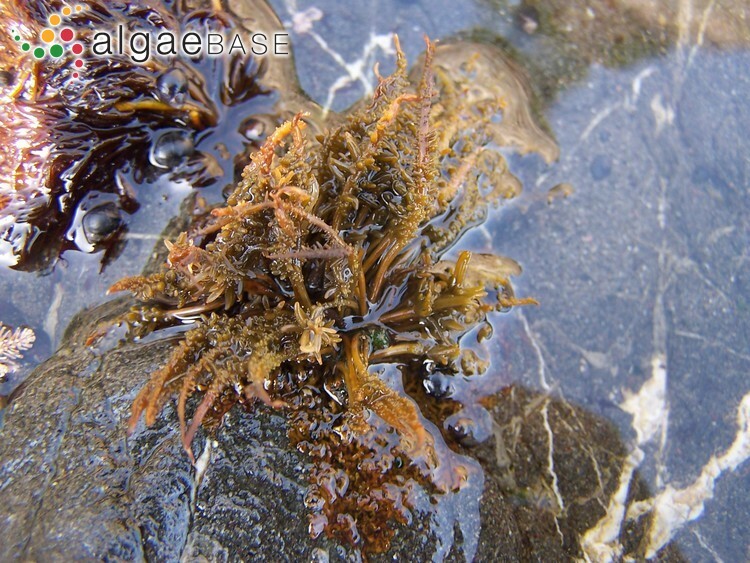 Analipus japonicus (Harvey) M.J.Wynne Otter Crest, Oregon, USA; lower intertidal. Published in: Wynne, M.J. (1971). 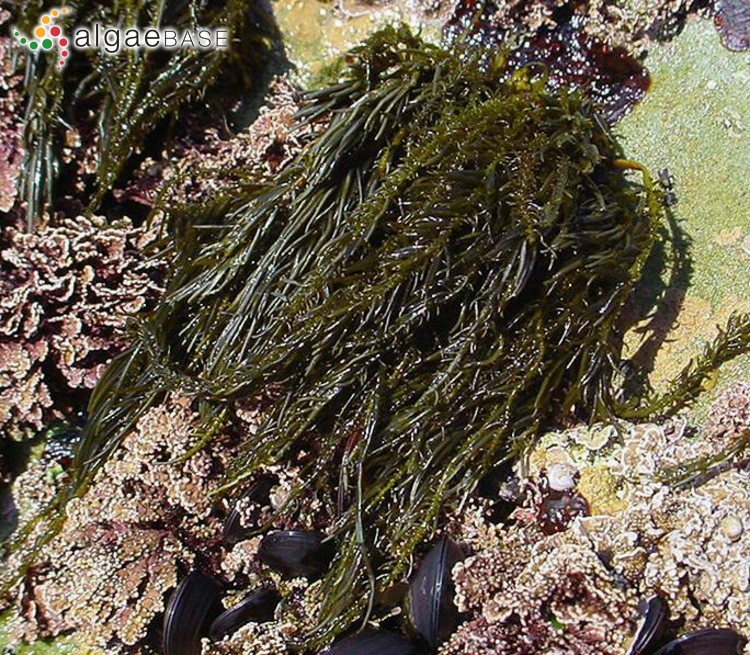 Concerning the phaeophycean genera Analipus and Heterochordaria. Phycologia 10: 169-175. The type species (holotype) of the genus Analipus is Analipus fusiformis Kjellman. English: Far Needle (Arasaki & Arasaki 1983). Japanese: Matsumo (Arasaki & Arasaki 1983). 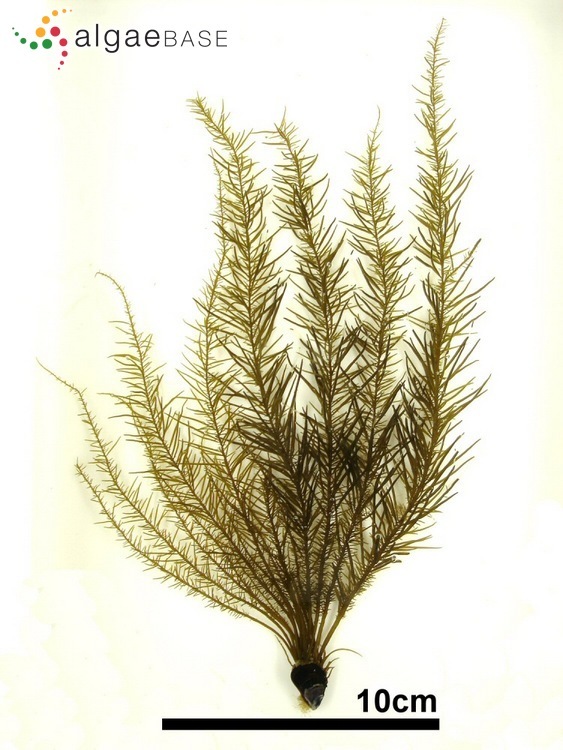 English: Fir Needle, Sea fir needle (Madlener 1977), Sea fir (Chapman & Chapman 1980). Lim, P.-E., Sakaguchi, M., Hanyuda, T., Kogame, K., Phang, S.-M. & Kawai, H. (2007). 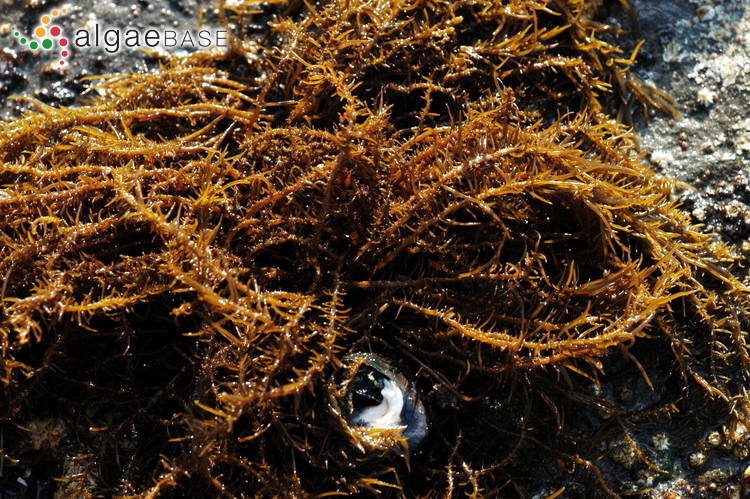 Molecular phylogeny of crustose brown algae (Ralfsiales, Phaeophyceae) inferred from rbcL sequences resulting in the proposal for Neoralfsiaceae fam. nov.. Phycologia 46(4): 456-466, 1 fig, 3 tables. Nelson, W.A. (1982). 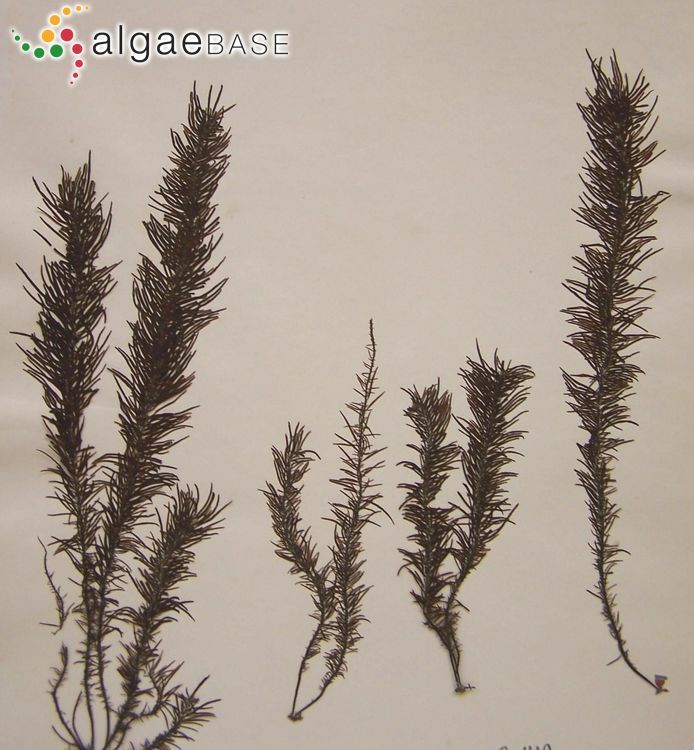 A critical review of the Ralfsiales, Ralfsiaceae and the taxonomic position of Analipus japonicus (Harv.) 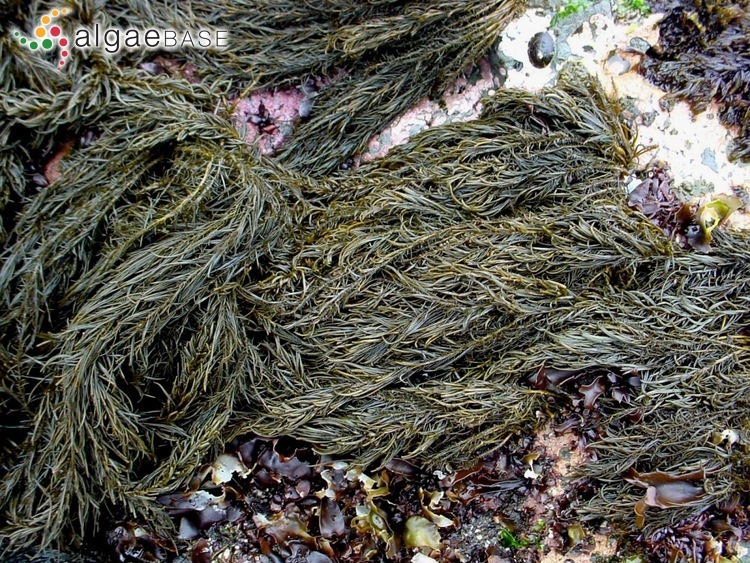 Wynne (Phaeophyta). British Phycological Journal 17(3): 311-320. Accesses: This record has been accessed by users 8558 times since it was created. Müller, D.G., Kawai, H., Stache, B., Fölster, E. & Boland, W. (1990). 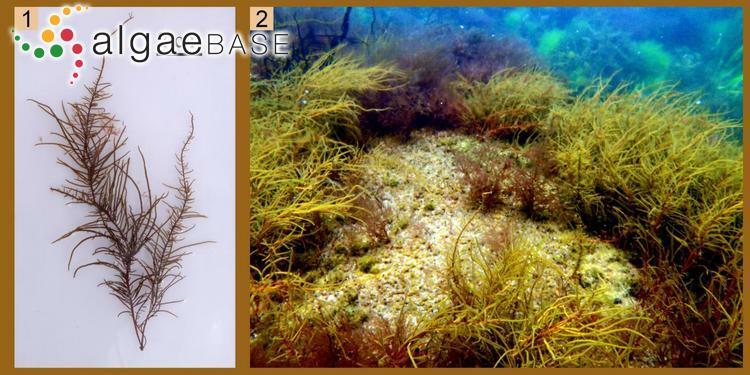 Sexual pheromones and gamete chemotaxis in Analipus japonicus (Phaeophyceae). Experientia 46: 534-536. Nelson, W.A. & Cole, K. (1981). 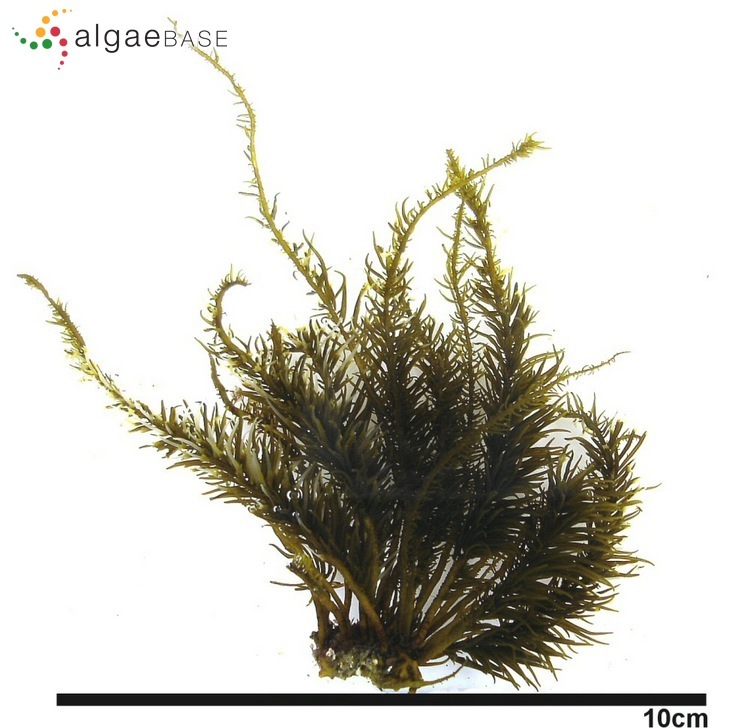 Feulgen microspectrophotometric analysis of the life history stages of Analipus japonicus (Harv.) 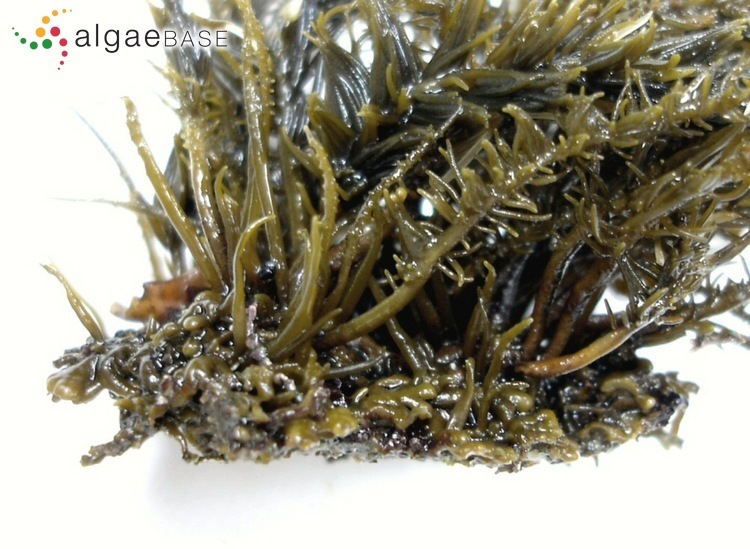 Wynne (Phaeophyta). Phycologia 20: 435-437. Nelson, W.A. & De Wreede, R.E. (1989). Reproductive phenology of Analipus japonicus (Harv.) 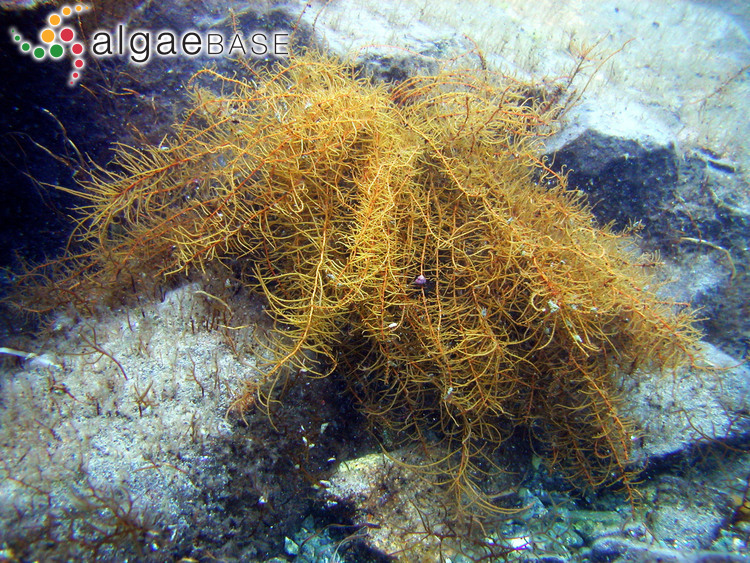 Wynne (Phaeophyta) in the eastern Pacific. Japanese Journal of Phycology 37: 53-56. Nelson, W.A. (1982). Development, anatomy and reproduction of Analipus japonicus (Harv.) 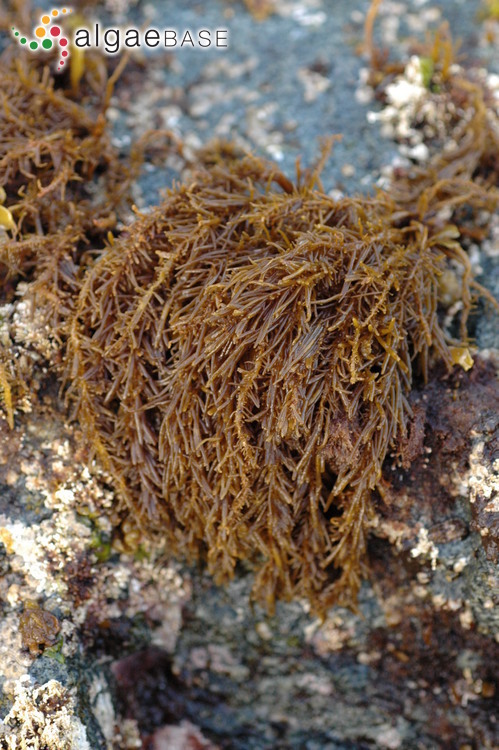 Wynne (Phaeophyta, Heterochordariaceae). Botanica Marina 25: 357-369.